PepsiCo rolled out an organic version of Gatorade, but not everyone is convinced. 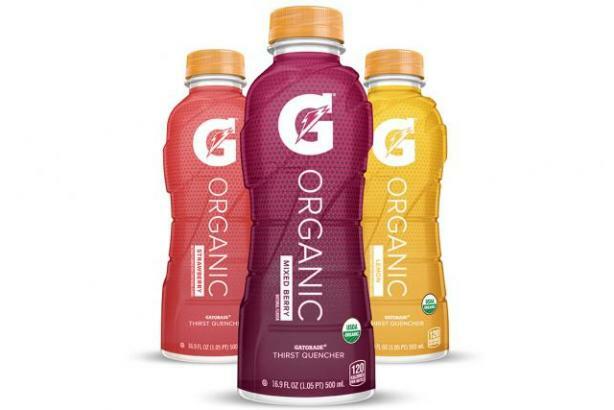 Gatorade has rolled out G Organic, a certified organic version of the sports drink. In the press release about the launch, the company said it is "committed to introducing new product innovations to meet [athletes’] varying needs." The new drink will have only seven ingredients and is certified organic by the U.S. Department of Agriculture. The company may be trying to keep up with new health expectations from athletes and the natural food trend in the consumer market. Brett O’Brien, SVP and general manager for Gatorade, said in an interview with Bloomberg, "We heard pretty loud through the locker rooms, through our work with nutritionists, that there is an interest and a desire among athletes to go organic. Somewhere around 10 to 12 percent of athletes are saying they’re interested in purchasing organic products." Not sure market is asking for organic Gatorade, pretty sure it's asking more for less sugar. @deenashanker @business organic Gatorade? You've got to be kidding me. Earlier this week, Gatorade experimented with a new advertising tactic on Snapchat. The company created an 8-bit game that honored Serena Williams’ 17-year career within its Snapchat ad.